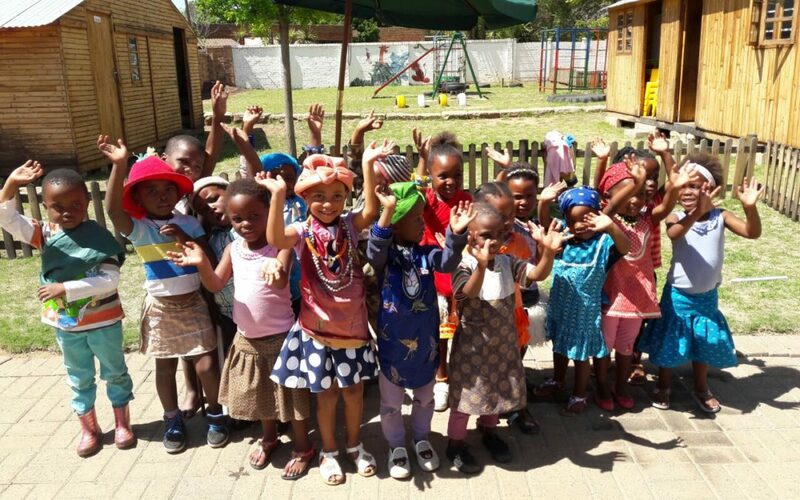 The day-care centre at Ladybrand Hospice has grown over the last year and we would like to build another classroom to accommodate more children! Ladybrand Hospice serves to provide appropriate clinical and psychosocial care to all patients in their homes on a continuous basis and, when necessary, we also help with end-of-life care. We follow the Hospice Palliative Care Standards of South Africa. We provide an integral service to the orphans and vulnerable children that are affected or infected with chronic and terminal illness. We interact and network with local partners for appropriate referrals (SASSA, Home Affairs, Schools, SAP, Clinics and Churches etc). We would like to purchase a Log Profile Wendy House measuring 4mx10m and fit it with electricity and plumbing to create another classroom for the orphans and vulnerable children in the day-care programme at Ladybrand Hospice. As a community based non-profit organisation that relies solely on the kind donations from private and public entities, Ladybrand Hospice has chosen crowdfunding to reach a maximum number of people. Ladybrand Hospice cannot continue to do what it does without community and crowdfunding makes our world so much bigger in terms of who we can reach. Head over to our GivenGain campaign page to donate. Also, please share the link to this project on your social media platforms and help us reach our goal.